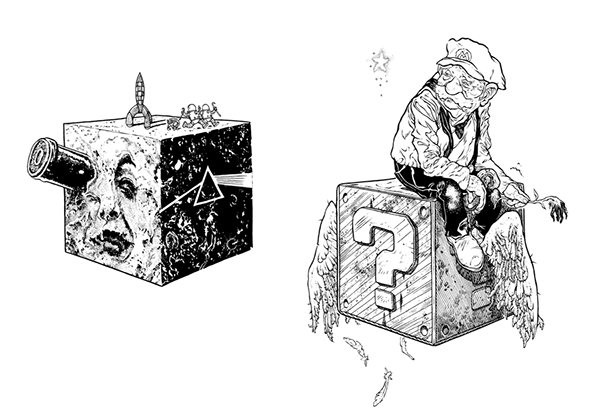 A one week assignment I developed for the Rhode Island School of Design's Pen and Ink course, in which students must represent 6 cubes in a variety of materials—wood, rock, glass, metal, food and a sixth, miscellaneous material of their choice. 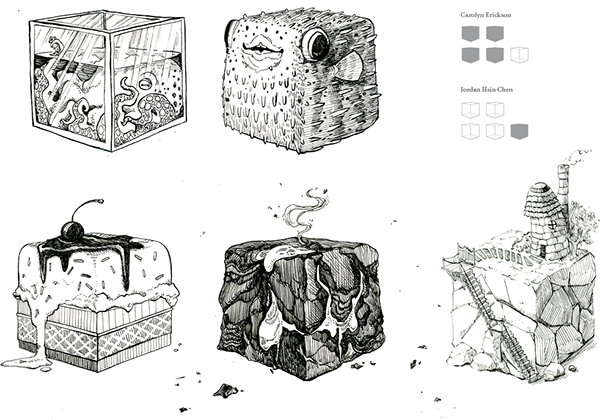 6 Cubes by Song Kang ILLUS '16. 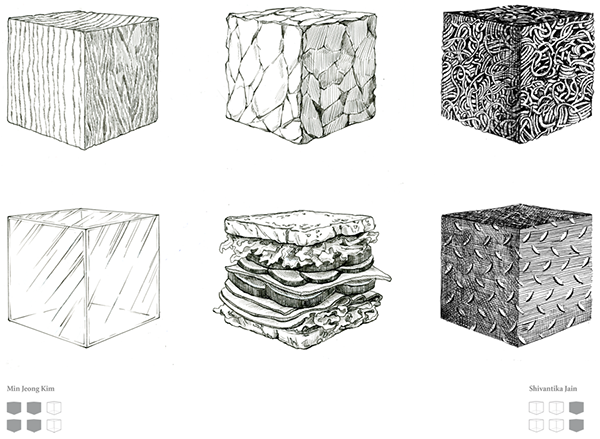 6 Cubes by Emily Ettlinger ILLUS '16. 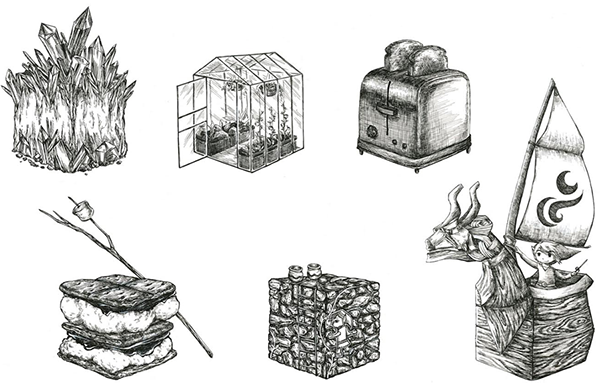 6 Cubes by Allison Carl ILLUS '17. 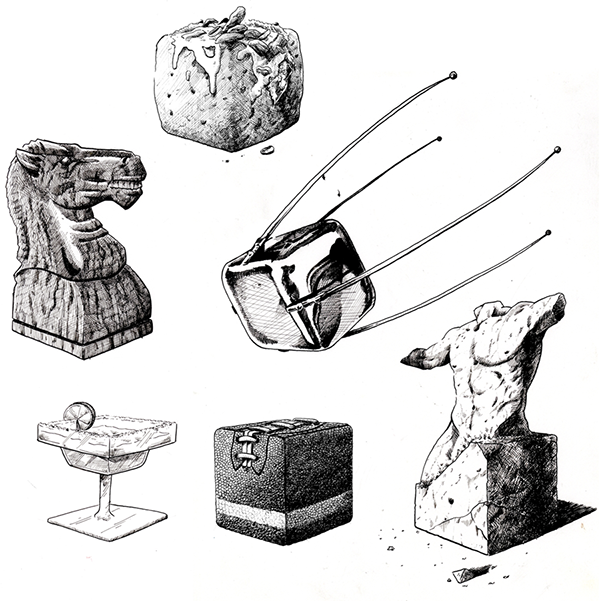 6 Cubes by Tom Reilly ILLUS '17. 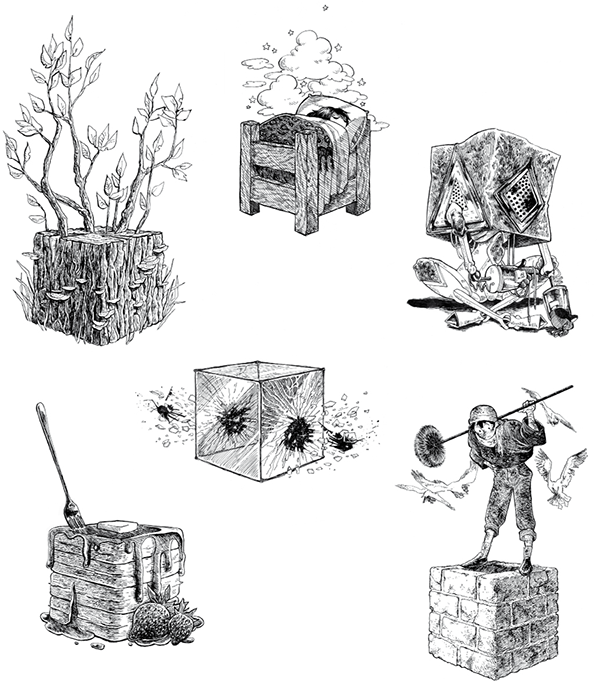 6 Cubes by Carolyn Erikson and Jordan Hsin Chen ILLUS '17. 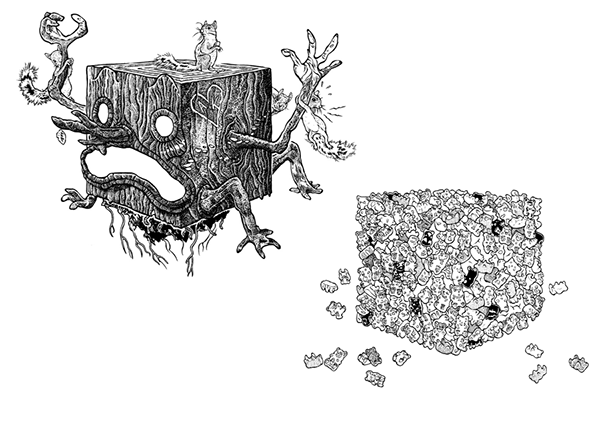 6 Cubes by Min Jeong Kim ILLUS' 16 and Shivantika Jain ILLUS '15. 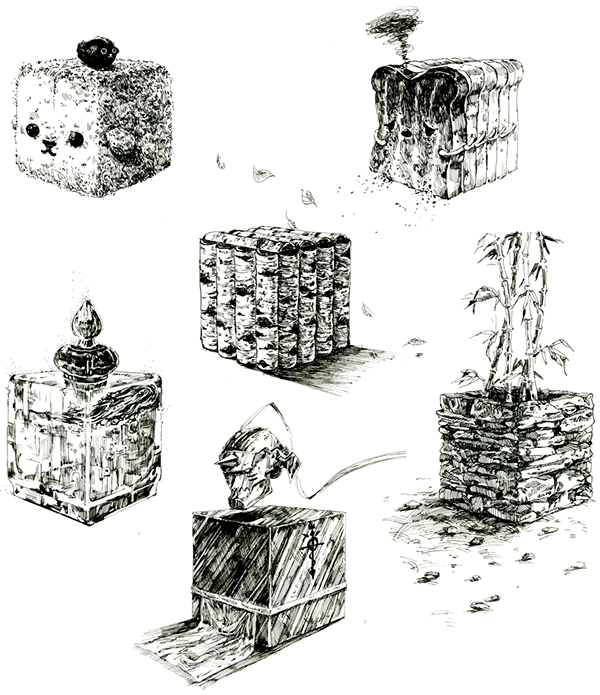 6 Cubes by Ming Hai ILLUS '16. 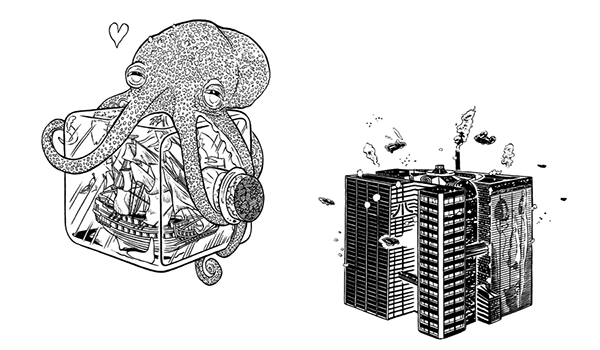 A selection of instructor and student work for Antoine Revoy's Pen and Ink course at the Rhode Island School of Design (RISD).